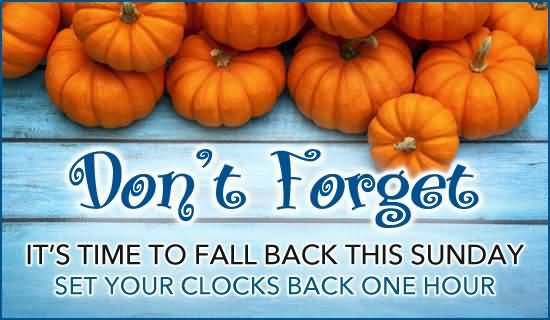 As I’m sure you know, Daylight Savings Time (DST) ends on November 3rd at 2am, with our having to move our clocks back an hour. I don’t know about you, but I hate it when people say silly things like “awesome, we’ll get an extra hour of sleep!” For those of you who are single or are teenagers, then yes, you get to gain an extra hour; however, for all of us parents of small children, the only thing “extra” we get is an extra hour with our kids! Ugh! Whiny, tired kids for a whole extra hour…yay! Seriously, it’s not fun to deal with Daylight Savings Time, whether we’re “falling back” or “springing forward”, but we have to somehow manage it. I’ve got a few options for how best to do this. For young babies, you sometimes don’t have to do anything at all. Thanks to a day full of napping already, and non-consistent bedtimes (because it should be based on the last nap of the day and not a set time), you can easily adjust the day’s naps if need be to move bedtime to accommodate the new bedtime hour. Again, a 4 month old’s bedtime might sometimes be at 7pm and sometimes be at 8pm, depending on how the day’s nap schedule went, so the time could have little to no effect on these little ones. If that’s the case, just jump right to the new time either on Saturday or Sunday night, and you should be fine. If you want to split the hour time difference in half so it’s less of a struggle for your child to adjust, then your day might look like this. Let’s say you have a 10mo old that usually wakes up at 7am, then they will now be getting up at 6am (at least for the first day). If she usually takes a morning nap around 10:00am, you will want to adjust this to 9:30 for the first three days after the time change. It will be a bit later than your child’s normal nap time (it will feel like 10:30am), but not so much that it will cause much damage to her schedule. Do the same for all other naps, and don’t worry about it at all if you have a child who no longer naps. Let’s say your child usually goes to bed at 7pm (which is the new 6pm). I recommend putting him to bed at 6:30pm for the first three days following the time change. Again, he’ll feel pretty tired, since it will be 7:30pm to his body. On the fourth night, just get in line with the new time so your child is back to going to bed when the clock says 7pm. Adjust naps to the correct time on day 4, as well. It will take about a week for your child’s body to get used to this. It takes all of our bodies roughly one week to adjust to any kind of change in sleeping habits. If you have older kiddos, you can choose to split the difference for just one night and get to the new time by night two. Whether or not that’s a good idea has everything to do with how well your child does to bedtime shifts. If you know that your child is a mess when he goes to bed too late, then I would try to do either the 30min adjustment over 4 days or do #3 below. For some children, going to bed 30mins later than normal can simply be too much, and then you could get bedtime battles, crying, possible night wakings, night terrors, sleep walking, sleep talking, or early morning wakings. But for other children, the 30min difference is no big deal, and they might actually make up for it by sleeping in later in the morning. You know your child best, so you’ll just have to make that judgment call. For children who are more sensitive to time changes, I suggest moving in 15min increments instead of 30mins. So if your child normally goes to bed at 7pm, and the new time would be 6pm, you’re going to opt for a 6:15pm bedtime the first night after the change (remember, that’s like 7:15pm for her). Then continue to move the bedtime forward 15mins each night over the next 3 days until you’re back to your 7pm bedtime. If your child happens to wake up at the same time as usual that first day (ie they’ve woken up at 7am like normal, even though the clocks changed and it’s technically 6am), don’t panic! It’s normal for children to want to wake up at their normal time, as their biological clock is already set. Babies and younger toddlers have an easier time with time changes because they need “x” amount of sleep no matter what the time; whereas, older toddlers, preschoolers, and school-aged children can have a harder time with that adjustment. Again, it might take about a week to see your child fully and happily make the adjustment! If your child normally sleeps 8pm – 8am and you would much rather prefer they sleep 7pm – 7am, then do absolutely nothing with the time change. 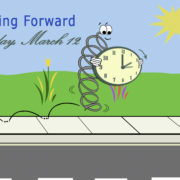 On Sunday morning when you wake up, your child will have just went from an 8am waking to a 7am one thanks to DST. Awesome, right?! I know what you’re thinking… “who would ever want that? !” But there are some kids who have to get up early for daycare or school, and the parents are always having to wake the child up. Now they may not have to do that…problem solved! Final Thoughts on Naps and Mornings: So throughout the day, be sure to adjust your child’s nap schedule to mirror the new schedule, based on their awake times and not by the “old schedule”. By this I mean, that if you have a 7mo old who’s taking two naps a day, you’ll adjust naps based on the child’s awake time and not a set time. That means first nap would be around 10am (again they woke at 7am not instead of 8am), which is a 3hr awake gap. Then, after that first nap, they would be awake for another 3hrs or so before the second nap, and the same would be true then after that second nap to get them to their new bedtime of 7pm. If you find that your child is now experiencing early morning wakings, don’t panic yet. Just make sure they are still sleeping the same amount of hours overnight as they were before the change. That might mean that you need to adjust bedtime for a while until your child’s morning wake time goes back to normal. Give it time and know that your child should get back on schedule within a week, possibly two. I should mention here that sometimes kids do fluctuate back to their old habits after that week or two are up. Some children’s circadian rhythms are just really established at their preferred times, and therefore they will eventually find their way back to those times. If that happens there’s not too much you can do, so just embrace it! Finally, when you start to make these changes is up to you. I prefer to start on Sunday after the time change has already happened, but you can start a few days or a week earlier so that your child is already on the new schedule by the time the change happens. It’s completely up to you and really doesn’t matter. Good luck! *If after a week, you’re still having issues, remember I am here to help! You can check out my one-on-one sleep packages, online courses, or book membership! And of course, you can always take advantage of my free 15min phone consultations if you’re not sure which option is best for you. https://www.sleeptasticsolutions.com/wp-content/uploads/2017/10/DST-fall.jpg 320 550 Ronee https://www.sleeptasticsolutions.com/wp-content/uploads/2016/08/SS-logo-new-with-massage-300x60.jpg Ronee2017-10-31 14:01:252018-10-31 10:03:34Daylight Savings Time - "Falling Back"
Daylight Savings Time - "Springing Forward"